Long-term high-resolution coupled climate model simulations using the Max Planck Institute Regional Climate Model and the Max Planck Institute Ocean Model have been performed with boundary forcings from two reanalyses: firstly from the European Centre for Medium-Range Weather Forecasts, and secondly from the joint reanalysis of the National Centers for Environmental Prediction and the National Center for Atmospheric Research. 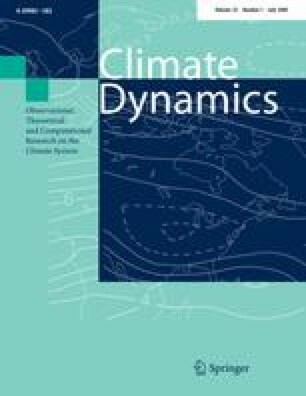 This study employs a special coupling setup using a regional atmospheric model and a global ocean model. The latter model applies a special conformal grid from a bipolar orthogonal spherical coordinate system, which allows irregular positions of the poles and focuses on the detail over the Maritime Continent. The coupled model was able to simulate stable and realistic rainfall variabilities without flux correction and at two different ocean resolutions. The coupled system is integrated for a period between 1979 and 1993 and the results are then compared to those from uncoupled runs and from observation. The results show improved performance after coupling: a remarkable reduction of overestimated rainfall over the sea for the atmospheric model and of warm SST biases for the ocean model. There is no significant change in rainfall variability at higher ocean model resolution, but the ocean circulation shows less transport variability within the Makassar Strait in comparison to observations. This paper has not been published or considered by any other journal in any language. The first author is very grateful for the DAAD scholarship A/99/09410. We thank Prof. Hartmut Graßl who reviewed an early version of the manuscript and supervised the study. Special thanks to R. D. Susanto and Tien Sribimawati for providing Indonesian throughflow and some rainfall data, respectively. Calculations have been performed at the Deutsches Klimarechenzentrum (DKRZ).